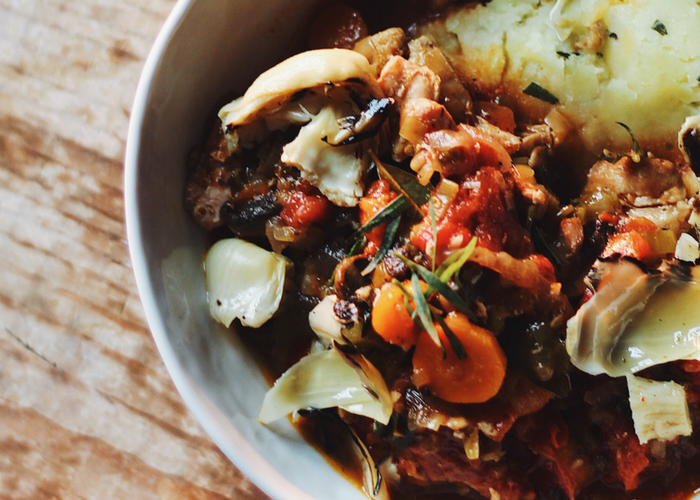 This Slow-Cooker Chicken Cacciatore is hearty, delicious, and healthy to boot. It’s Whole30 compliant, paleo, and gluten-free, too! 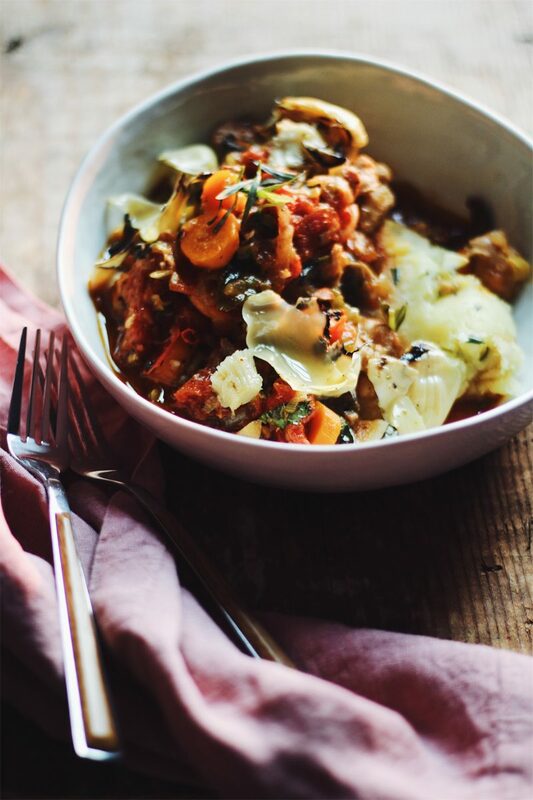 This Slow-Cooker Chicken Cacciatore came about on a whim. I was right in the middle of doing the Whole30 when our friend Adrian came to stay with us. I wanted to make something delicious and hearty for dinner one night, and also something that our non-Whole30-doing visitor would enjoy. I feel like every time Adrian came to visit us in Portland, I always made something Italian. Can’t really go wrong with Italian food, right? 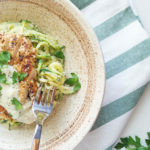 I had a package of organic chicken thighs and legs in the fridge (I love Costco’s organic skinless and boneless chicken thighs and legs, and one package is perfect for this recipe). I also had mushrooms. Plenty of fresh rosemary from the garden. Organic canned tomatoes and some bone broth. I didn’t really want to spend the entire day in the kitchen, either. 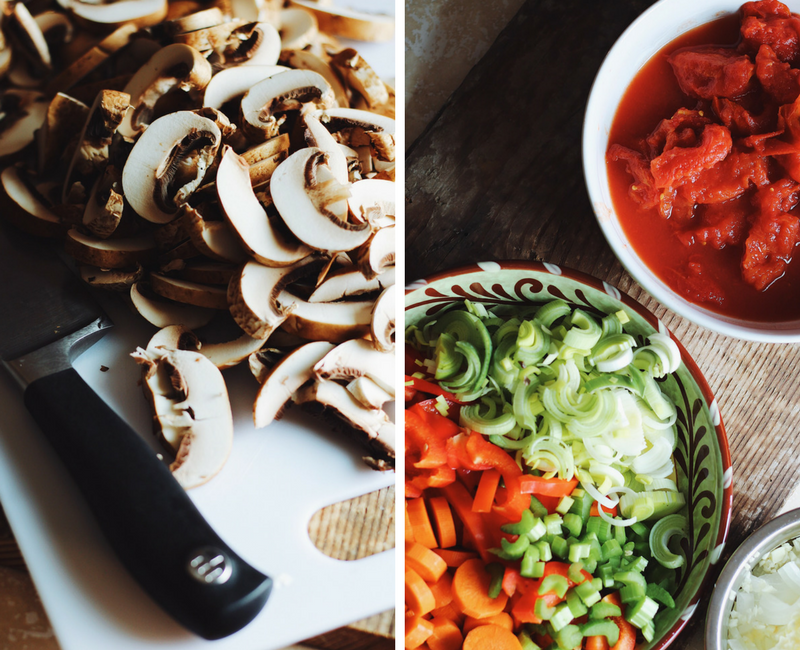 So Slow-Cooker Chicken Cacciatore it is! And I have to tell you, Whole30 or not, this is probably the only chicken cacciatore I will ever make. It is so delicious, and oh so comforting. 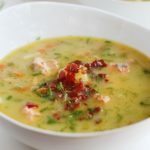 It’s loaded with protein and fiber, and is so nourishing for both the body and the soul. Healthy comfort food is my jam. Searing the chicken and the vegetables before adding them to the slow cooker is a part that I don’t recommend skipping. It really adds a lot more flavor to the dish. 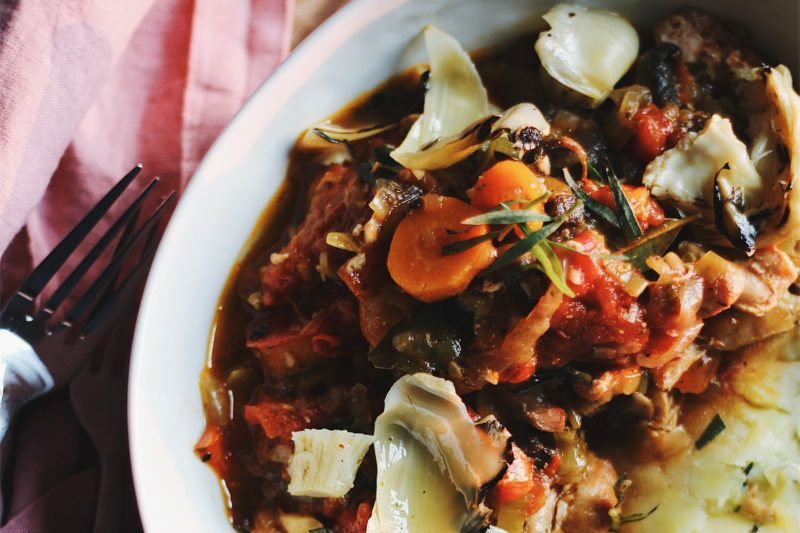 This Slow-Cooker Chicken Cacciatore is incredible by itself—between the hearty vegetables, savory herbs, and tender, fall-apart chicken. But I really like to serve this dish topped with some grilled artichokes (you can use jarred!) and served over mashed potatoes. To keep things Whole30, I recommend serving this over a cauliflower mashed potato, flavored with ghee, fresh herbs, and sea salt. It’s perfect for sopping up all that sauce! 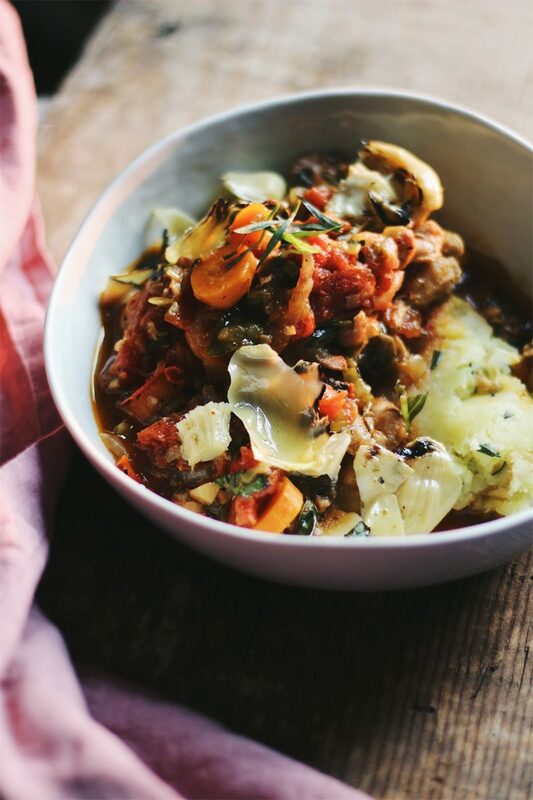 I hope that you enjoy this Whole30 and Paleo Slow-Cooker Chicken Cacciatore! What are your favorite comfort foods? 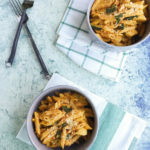 Do you have any tips for making comfort foods healthier? Let us know in the comments below! 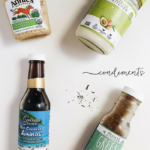 This post contains affiliate links and are always products I love, highly recommend, & use in my own kitchen! Season the chicken on both sides with sea salt and pepper. Heat one tablespoon of olive oil in a cast iron or saute pan and, working in batches, sear the chicken thighs and legs until browned on both sides. Transfer to the slow cooker. Heat the additional tablespoon of olive oil and cook the carrots, bell pepper, celery, leek, and mushrooms until softened. Season with sea salt and pepper, stir in the tomato paste and cook for 1 minute, and then transfer the vegetables to the slow cooker. Drain the canned whole tomatoes and using your hands, crush the tomatoes before adding them to the slow cooker. Stir in the minced garlic, tomato sauce, chicken broth, capers, bay leaves, crushed pepper, oregano, and thyme. Season with sea salt and pepper. Cook on low for 7-8 hours, until the chicken is tender and easily falling apart. Stir in the fresh rosemary. If you would like to thicken the sauce further once done, ladle as much sauce as you can into a small saucepan and bring to a low simmer. Cook the sauce on a low simmer for 10-15 minutes, or until reduced to the thickness you’d like. 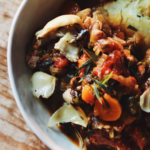 To serve, spoon the chicken cacciatore over mashed potatoes or pasta (for non Whole30/paleo) and top with artichoke hearts, capers, and fresh rosemary. Enjoy! 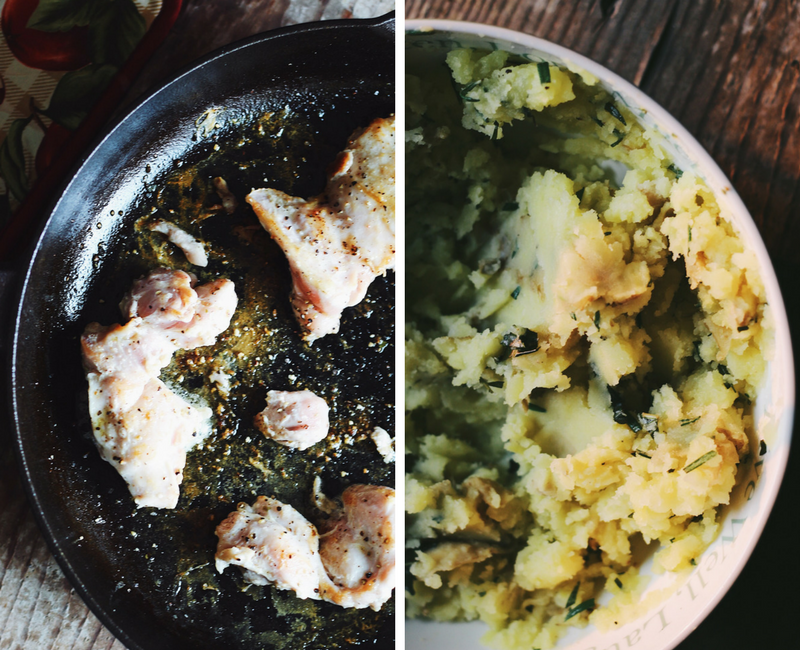 Serving Suggestion: This dish is really delicious served over some half-cauliflower, half-potato mashed potatoes flavored with ghee, sea salt, and fresh herbs. This looks so delicious! I love all of the fresh ingredients! I would love to make this. 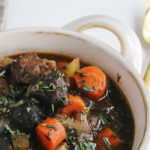 I love anything that you can make in the slow cooker. This looks like it would be amazing! My husband has been wanting to do Whole 30, but I haven’t check it out much. This looks so delicious! I love healthy comfort food, too. Why does this look sooooo good! I’ve been thinking about doing the whole 30 but I know that it takes planning to prepare the meals but I know it would be worth it. Wow doesnt this look so good! I need to invest in a slow cooker asap so i can give this recipe a go. It’s amazing when you find your favorite foods can still fit into a healthier diet. 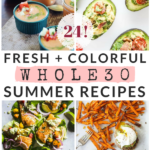 Love this Whole 30 recipe! Sounds perfect for a fall night. This looks like the perfect fall recipe. 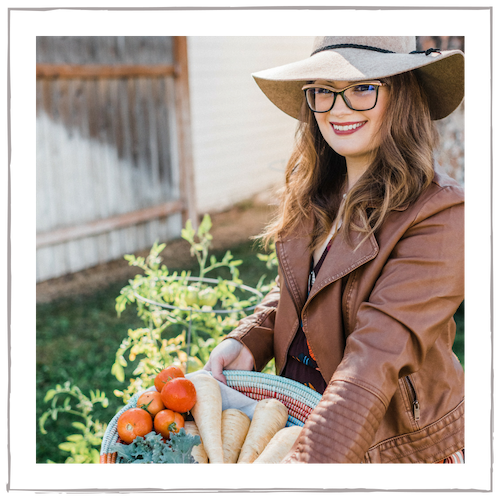 I am loving all the healthy and fresh ingredients involved! I’ve never heard of this kind of recipe before. It looks delicious and I have no doubt the family would love it. I am really into this chicken cacciatore. I love comfort foods and to find one that is good for you is a coup. Definitely going to give it a try! Your photos are drool worthy. I’ve never had Chicken Cacciatore before, but I love slow cooker recipes. I use my crock pot a lot! I may have to venture and try this dish. I think my son and husband would like it a lot looking at the ingredient list. Oh this looks delicious. I see me making this during a lazy weekend. I wonder if I can sub it with shrimp. 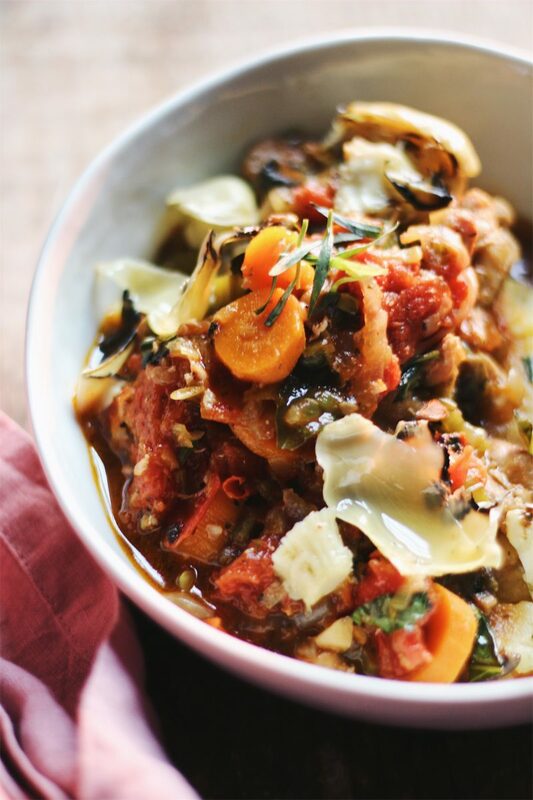 This Slow-Cooker Chicken Cacciatore looks so delicious and easy to make. I am always looking for new recipes to try. I will have to add this to my meal plan for next week. I am sure it will be a big hit. Loved the idea but in fact, the 2t dried oregano overpowered the dish I made. I’d recommend folks cut it back to 1t dried oregano and add more if desired. Thanks for the recipe just the same! I just love cooking in my slow-cooker. I definitely have to make this. It looks so delicious and healthy! I will serve it over cauliflower mashed potatoes. 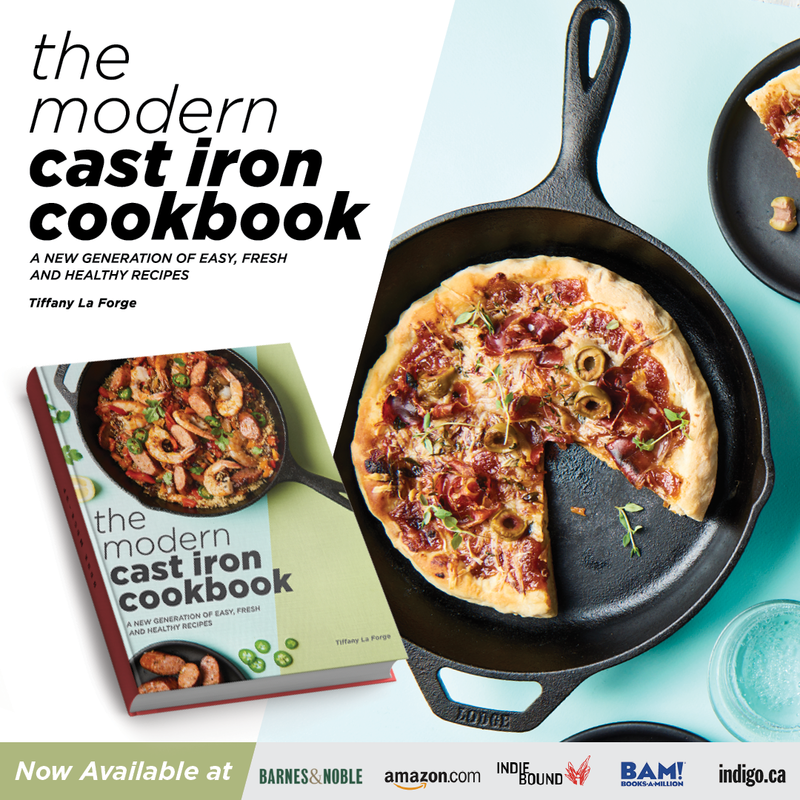 Tiffany, this is really achieving some comfort food goals! I love all comfort foods especially if they’re packed full of veggies and other healthy goodies! I’m really in need of a “new” way to cook chicken and I think this cacciatore is what I’m looking for!